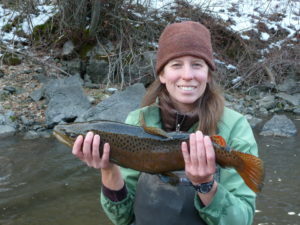 For her research dissertation, Christy studied factors influencing distribution of exotic brown trout in mountain streams in Utah. 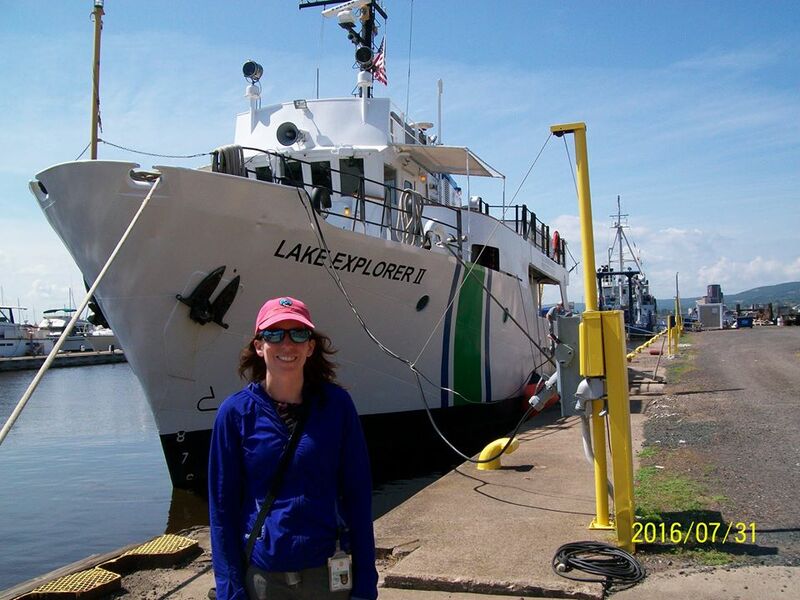 Enjoying some sun after sampling zooplankton in Duluth-Superior Harbor aboard EPA’s sister research vessel, The Lake Explorer. Guiding educators as they collect zooplankton. Diving for freshwater mussels in the boundary waters. Counting and identifying zooplankton samples. As with many people in environmental fields, my love for the environment grew from my childhood experiences. My childhood home was near the Ashtabula, River, which flows into Lake Erie. I enjoyed tromping through the woods to the river and backwaters, where I would search for newts, small fish, and stream bugs. I also spent many days swimming in Lake Erie and walking along the shoreline. The Ashtabula River and Lake Erie are certainly not pristine (although they have come a long way, thanks to the EPA! ), but their beauty inspired my love of nature and aquatic life. As a result, I decided I wanted to work towards conservation of aquatic resources. One of my career goals has been to study the ecology of streams and lakes and to convey my scientific knowledge of these aquatic systems to decision-makers. 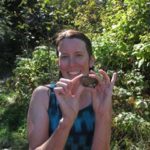 I previously worked as a freshwater scientist for the Western Pennsylvania Conservancy, helping local watershed groups and governments evaluate their streams, and developing watershed assessment plans and restoration projects. I was also employed at the U.S. Forest Service for three years, where I studied effects of cattle grazing on salmon streams in the West and communicated my findings to managers. When I saw the opening for a postdoctoral fellow at EPA in Duluth, I was intrigued because most of my previous research was on stream systems (in Utah and Pennsylvania) and I had never before studied any of the Great Lakes, even though I grew up on Lake Erie. 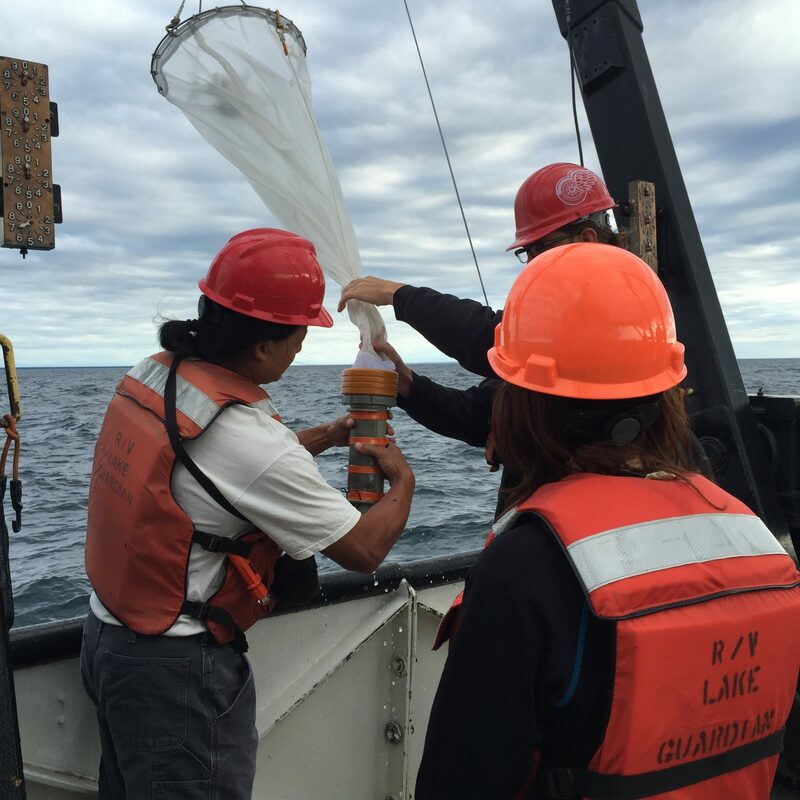 My research is focused on early-detection of aquatic invasive species in the Great Lakes, with a focus on Lake Superior. At the EPA, my research group is evaluating sampling strategies (such as use of different types of gear and sampling designs) for better detection of aquatic invasive species. We also use DNA technology to better identify invasive species in tissue and water samples. Invasive species can be brought into new areas of the Great Lakes through movement of water from large ships, as well as by recreation activities. Once they are introduced they can drastically alter the function by outcompeting or preying on native organisms. So far, it appears that DNA is a promising tool for detecting species that are rare in samples including those that may not be detected using traditional identification keys because they are small or challenging to identify. 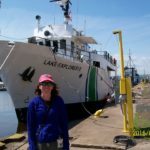 In 2016, I was extremely fortunate to spend a week on the Lake Guardian (the largest EPA research vessel) working with a team of educators to study the ecology of the Great Lakes. The educators included elementary and high school teachers, as well as some community and college educators. 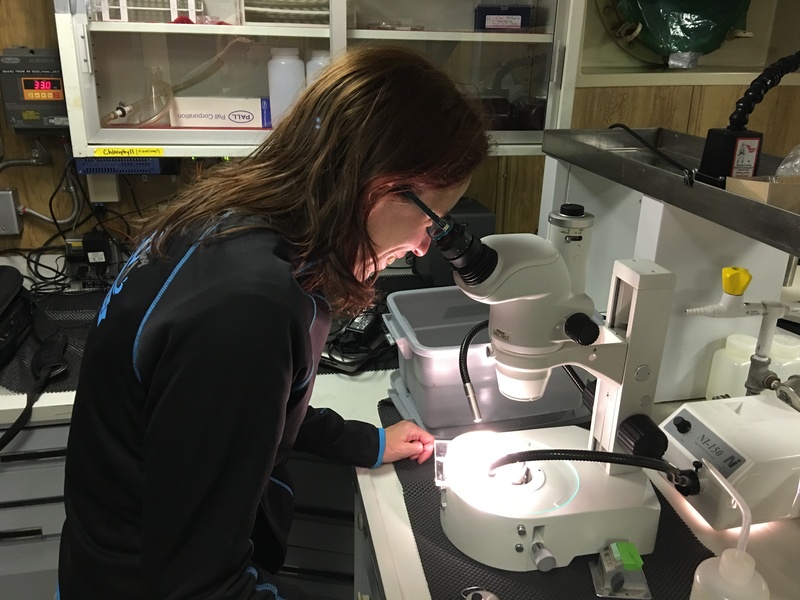 My team studied zooplankton, which are small, mostly microscopic animals that are moved by water. 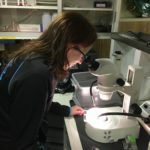 It was one of the most rewarding experiences of my life to see my group’s knowledge of zooplankton and their understanding of the rigors of scientific research grow as the week progressed, and to know that was mostly because of what I taught them. I have always wanted to teach, but have never had much opportunity. Therefore, this experience was relatively new for me. I was surprised at how much I enjoyed it. I was also inspired by the educators and how much they themselves love to learn, despite being so deep into their careers and such a range of ages. I think it is important for members of the community to understand the scientific process so they can better evaluate community and/or political decisions that are informed by science. Such knowledge includes an understanding of how to form and test a hypothesis, as well as the rigors of field collection and analysis. If they gain this understanding, they will have a respect for science. Even if they do not become scientists themselves, they will be able to review scientific findings regarding proposed projects in their community or state that may affect water or the environment. Educators can help foster these critical thinking skills in young people. Quantitative skills (statistics, computer programming) are in large demand, as well as knowledge of new technologies (field devices, cameras). In addition, I have rarely met a successful scientist who is not also a good writer, so I suggest that any student that wants to be a scientist develops good writing skills.